With the assistance of our talented team of professionals, we are providing a high quality range of Maternity Pads. We have reached the pinnacle of success and earned a reputed name by providing the high-quality range of Secure Maternity Pad. 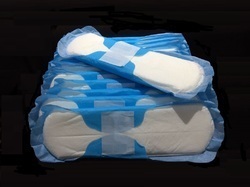 We are recognized as the leading manufacturer and supplier of superb quality Comfortable Maternity Pads. Our Maternity Pads or Napkins are acclaimed in the industry as these are highly comfortable, hygienically prepared and stain resistant. We are offering customize size. We are a unique entity in the industry, actively committed towards manufacturing a qualitative range of Maternity Pads. 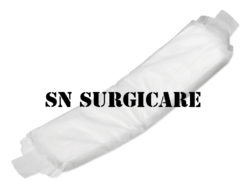 WE are the leading maternity pad exporter from India. Friends Maternity Pads are ideal for use after the birth of your baby & has Moisture Proof backing.